I enjoy visiting the websites of audio manufacturers to see what they’re up to. When I recently looked at NAD’s site, I was surprised to see the new Viso 1 iPod dock, but what really caught my attention was what NAD had to say about it. The company has never been shy about extolling the virtues of its products, but I’m not used to them trumpeting a new model as “astonishing” or “awesome” or “The best sounding Smart Music system in the world. Period.” For polite NAD, that kind of language is hard-core, in-your-face smack. When I read it, I knew I had to hear this Viso 1 for myself. To say that the Viso 1 is an iPod dock is like saying the Space Shuttle is a flying machine. 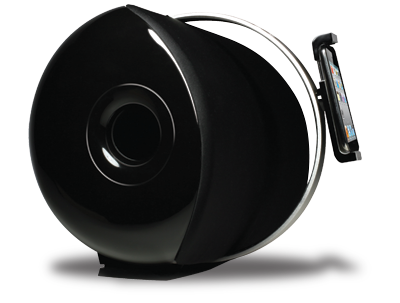 While the Viso 1 is primarily designed to work with Apple’s ubiquitous music player, it’s much more. That’s not to say that the Viso 1 has enough functionality to make it the Swiss Army Knife of iPod docks, but it should suggest that it’s something special. The Viso 1 ($600 USD) is a descendant of NAD’s flagship M2 Direct Digital DAC/amplifier ($6000). Yes, you read that right: the Viso 1 is based on the same Direct Digital technology as the M2, at one-tenth the price. That, friends, is trickle-down technology at its best. Like the M2, the Viso 1 has class-D amplification, but it also has an entirely digital signal path. The Viso 1’s digital brain operates at an impressive rate of 35-bit/844kHz, with a claimed 0.005% of total harmonic distortion. As a purely digital device, the Viso 1 does its own D/A conversion of a connected device’s output, be it a physically connected iPod, an optical (TosLink, which will accept up to 24/96 resolution) input, or a Bluetooth aptX wireless connection. The M2 pedigree of its electronics isn’t the Viso 1’s only claim to fame. 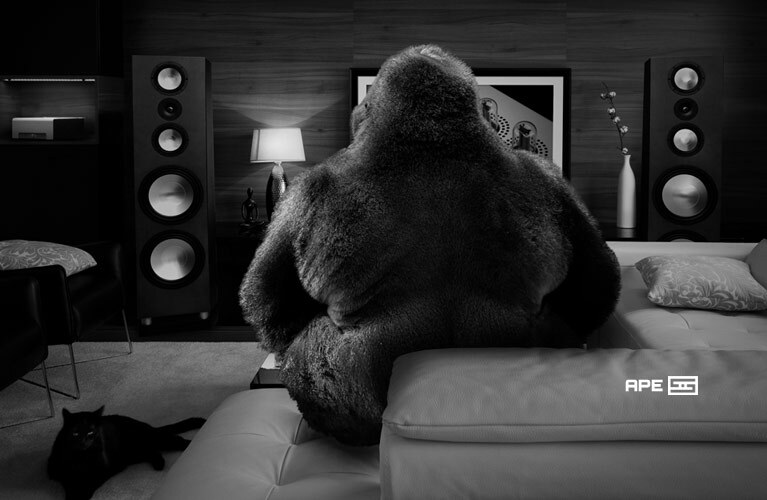 On its daddy’s side, so to speak, is a set of drivers designed by Paul Barton, founder and chief designer of PSB Speakers. While guys like Alon Wolf of Magico and Laurence Dickie of Vivid Audio get a lot of positive buzz for their speaker designs, let’s not forget that their products cost as much as a new family sedan made by Jaguar. Yes, they make some epic loudspeakers and are major talents in that respect, but think a moment about Barton’s approach of doing more with less. There may not be another man alive who can squeeze so much music out of products that cost so little. Barton’s achievement with the Viso 1 is laid out below, but for now let’s talk about the Viso 1 as a loudspeaker. Inside its case are three drivers: two 2.75” almost-full-range aluminum-cone-and-dome speakers and a single 5.75” subwoofer. Each is directly coupled to its amplifier’s output -- 15Wpc for the smaller drivers, and a dedicated 50W for the sub -- so as to avoid the distorting effects of crossover components. The small drivers are tasked with frequencies from 500Hz to 28kHz, while the sub goes down to a claimed -- and impressive -- 33Hz at -6dB (50Hz at -1dB). These numbers mean that the Viso 1 can go quite high and quite low. Cosmetically, and in keeping with Apple’s philosophy and color palette, the Viso 1’s industrial design is purposeful and understated; it’s available in black or white. The Viso 1’s wireless capability is downright cool. Playing one night with my iPad, I discovered that I could not only send what music it contained to the Viso 1 via Bluetooth, but also that I could use the iPad as a hub, connecting the NAD to my iMac’s huge music library over Wi-Fi, then using the iPad to broadcast to the Viso 1, over aptX Bluetooth, anything I wished to hear. I could also watch a movie on my iPad, and stream the audio to the Viso 1 for high-fidelity playback. The Viso 1 has component-video outputs, should you wish to play an iPod video on your TV. A mini USB port on the rear panel is labeled Upgrade, but so far there’s been no word from NAD as to when any new firmware might be made available for the Viso 1’s digital heart. A remote control is included, which brings me to my chief criticism of the Viso 1. While the NAD is a high-quality component that looks as if it’s worth every cent of its asking price, the remote is chintzy. If Apple can bundle a lovely aluminum remote with their $99 Apple TV, I can’t understand why NAD would include a cheap piece of plastic with an otherwise remarkable product. Two thoughts repeatedly crossed my mind as I listened to the Viso 1: “Wow!” and “Come on, NAD, how is the competition supposed to respond to this?” The Viso 1 didn’t just sound good, it sounded fantastic. 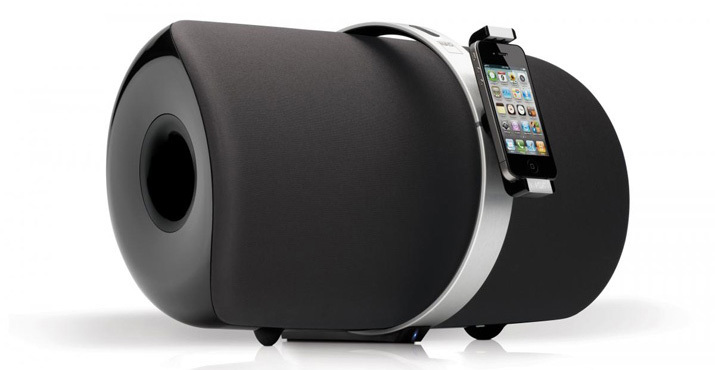 It’s definitely, easily the best-sounding iPod dock I’ve heard. In fact, I imagine that the Viso 1’s sound is what Meridian was aiming for with its M80 compact system, which costs $2995. Lots of people will buy the Viso 1 to use as their main audio source and never feel the urge to change to a system of separates. It’s that good. Listened to from about 40 degrees off axis, the Viso 1 sounded crisp. I listened to “Original Sin,” from Best of INXS (16/44.1 ALAC, Rhino), and marveled at the layering of the recording -- or, rather, at the Viso 1’s ability to portray that layering. Instruments weren’t mashed together or buried one behind the other. It was hard to believe that every member of the band was not being represented exactly as the recording engineers intended. As I moved toward a more central, on-axis position, the treble output increased, as is to be expected, though only to a small degree. It’s not that the Viso 1 was dull dead on, but rather that its off-axis treble output was very good. In practical terms, this means that owners won’t have to fuss with placement to aim the Viso 1’s sweet spot at the listening area. If they find themselves within the Viso 1’s wide listening window, they won’t be disappointed with the sounds that reach their ears. In the reproduction of bass the physical placements of speakers matter. Like any other speaker system, the Viso 1 sounded beefier the closer it was to a wall or corner -- but its bass output was remarkably good even when I plunked it down in the center of a room. Ray Brown’s bass in “Exactly Like You,” from his Soular Energy (16/44.1 ALAC, Concord), belted forth as the Viso 1 sat dead center in my 35’ x 15’ living room, at least 7.5’ from any wall. It sounded amazingly deep. It wasn’t the room-shaking bass you might experience with a full-size subwoofer and/or floorstanding speaker, but it was tight, tuneful, and beautifully clear. It was not wimpy. Moving the Viso 1 toward the room’s front wall brought forth a deeper sound as room and dock interacted in a more meaningful way, but the clarity didn’t wane one bit. To my ears, the Viso 1 sounded best about 2.5’ away from a wall, but even when it was closer than that, bass clarity didn’t diminish by much. My experience suggests that the Viso 1 will likely perform near its best no matter where it’s placed. It seemed hardly fair to put the Viso 1 up against its competition, but I did. The admittedly much cheaper TEAC SR-100i ($250) isn’t in the same league -- or the same sport, for that matter. The Viso 1 sounded great at all volume levels, whereas the SR-100i suffered anywhere below a volume setting of 7 -- still too loud for late-night or office listening. The TEAC’s bass sounded contrived and forced, the Viso 1’s natural and effortless. 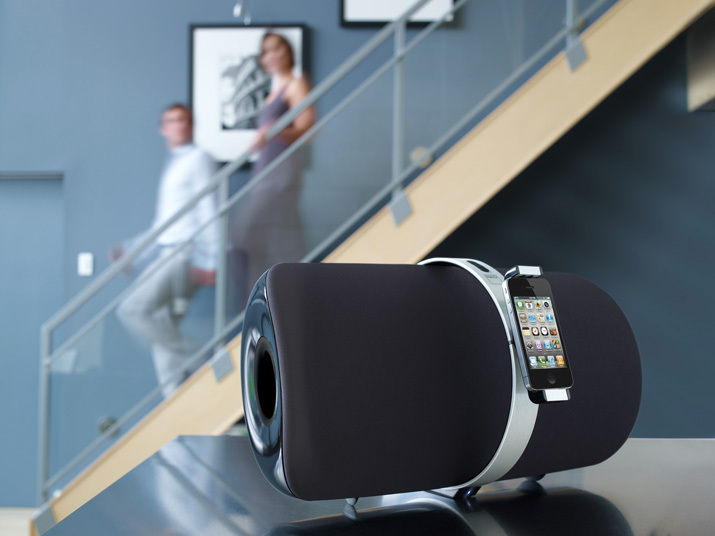 The Viso 1’s main competitor is, of course, Bowers & Wilkins’s Zeppelin, which also costs $600. I’ve always liked the Zeppelin for its sound and its finish, but not for its shape, which reminds of the head of Stewie Griffin, of Family Guy. Despite my fondness for its sound, I couldn’t see myself spending $600 on one. Nonetheless, the B&W deserves and received a fair shake. I borrowed a friend’s Zep for a few days and used the same sixth-generation iPod Nano for direct connection to it. Playing the same music in the same physical spaces cemented my strong preference for NAD’s Viso 1. Yes, the B&W has a clear midrange, a sweet treble, and good, deep bass, but the Viso 1’s sound had a magic that the B&W just couldn’t match. Perhaps it was the NAD’s fully digital signal path, or Paul Barton’s drive-unit wizardry, that gave it the edge; either way, it played deeper and sounded fuller, with overall greater clarity. The Viso 1 is definitely a product I could see myself spending $600 on, and think I’d secured myself quite a bargain in the process. The NAD Viso 1 is an astonishing sound machine, and an epic achievement for its product category: It offers a purity of sound that no reasonable person could have expected from an iPod dock. Its digital innards, born in a $6000 technical marvel, perform amazingly well in this $600 version, and, mated to PSB’s overachieving drivers, offer tight, almost unreasonably deep bass, sparkling but never overblown highs, and a clarity that must be heard to be appreciated. The Viso 1 is the most exciting audio component I’ve heard in quite some time, and -- heads up, SoundStage! Network management -- a shoo-in for a Product of the Year nomination.